The US government will pay the salaries to the staff of Georgia's former President Mikhail Saakashvili, who is now serving as a new governor of Odessa Region, Ukraine, Saakashvili said, adding that California police will also train Odessa’s officers. US authorities have recently been sending other instructors to train local forces in Ukraine. In April, paratroopers of the US 173rd Airborne Brigade, based in Vicenza, Italy, arrived in the western Ukrainian city of Lvov to provide training for Ukrainian government troops. Pyatt then posted on Twitter several pictures of the US paratroopers marching through the airport in the city. 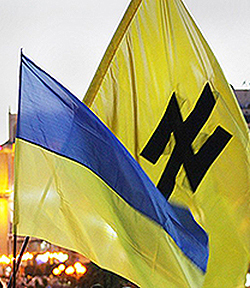 Ukrainian Nazis living the high life on U.S.
Saakashvili became governor of Odessa Region back in May. He was personally appointed by President Petro Poroshenko. He was also given Ukrainian citizenship under Poroshenko's personal decree, published on his website, as the Ukrainian constitution says that only a citizen can become an official at governor level. 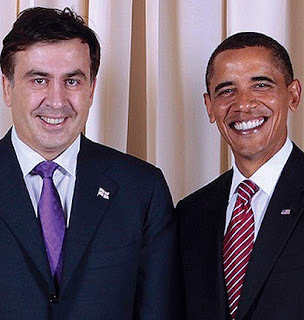 Saakashvili left Georgia in autumn 2013, days before his presidential term expired. 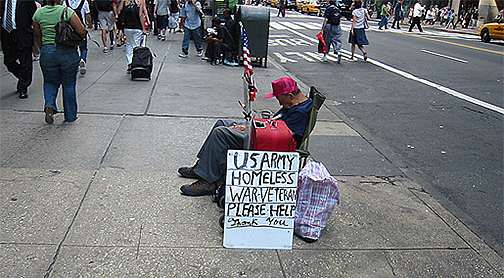 He has been living abroad ever since. In spring 2014, Georgia's new ruling coalition accused Saakashvili of embezzling hundreds of thousands of dollars from the state budget. Georgia's prosecutors have started an investigation into the case. However, Saakashvili denies the charges against him, saying the funds went towards attracting foreign investors to the country. Apart from embezzlement, Saakashvili has several other cases ongoing against him. He is accused of abuse of power during the crackdown on anti-government protests in the Georgian capital, Tbilisi, on November 7, 2007. He was also allegedly involved in the attack on the opposition TV station Imedi, which was seized by Georgian special forces on the same day, and the appropriation of the founder's assets. In February 2015, Tbilisi issued an extradition request for Saakashvili, but Kiev authorities rejected it. Greece’s New Money : Many, Not One?